Portland tops on transit, Austin energy goes green. San Francisco, meanwhile, knows how to take out the trash. 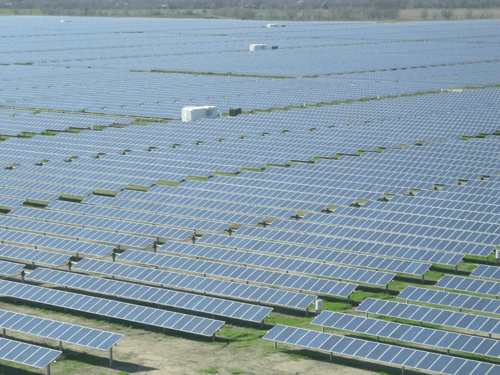 Austin, TX: The City of Austin and its public utility, Austin Energy, are making all the right moves when it comes to renewable energy and energy conservation. Under the utility’s GreenChoice program, any of Austin Energy’s four million residential customers can purchase renewable energy – a mix of wind, solar, biomass and biogas – at a fixed rate. This typically works out to a monthly premium of $25 for customers who use roughly 1,000 kilowatt-hours a month. The voluntary program has been the most successful of its kind in the United States for nine years running. In fact, Austin Energy (tied with Portland General Electric) sold more renewable energy than any other voluntary utility-run program last year, according to the National Renewable Energy Laboratory. Green power also runs 100 per cent of all Austin government and state buildings in the city, according to the Environmental Protection Agency. In conservation, Austin Energy received the Energy Star Sustained Excellence Award in March for helping customers become more energy efficient and lower their bills. This is the eighth consecutive year the utility has earned this recognition. Another notable initiative is the utility’s Power Saver rebate program. Customers can get up to $1,800 in rebates as well as other bonuses and interest-saving opportunities. Solar photovoltaic loans are also available to encourage installation of residential rooftop systems, of which there are more than a thousand spread across the city. And last year marked the 20th anniversary of Austin Energy Green Building, the oldest green building program in the U.S.
Austin Energy has set the goal of having renewable energy represent 35 per cent of its generation by 2020. Last fall it signed a power purchase agreement with Duke Energy to buy all the power generated from the 202-megawatt Los Vientos II wind farm, located 120 miles south of Corpus Christi and expected to be operational by the end of 2012. 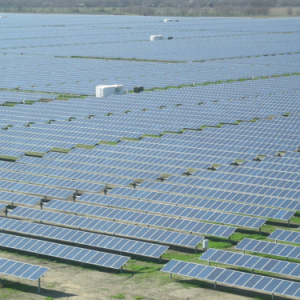 This past December it activated a 30-megawatt solar power plant, which is to date the largest active solar project of any public power utility in the U.S. As well, it is purchasing power from the Southern Company’s 100-megawatt biomass facility when it opens later this year. The utility also has an ambitious smart grid program and has been a pioneer in its willingness to test out new energy-storage technologies. 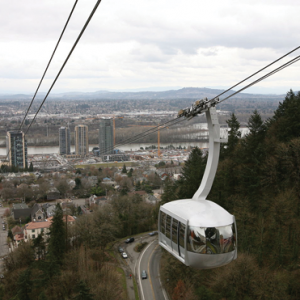 Portland, OR: Oregon’s most populous city has put in place an array of transit options for its citizens. Commuters can begin by taking the WES Commuter Rail, which operates on weekdays for longer-distance travel. Once downtown they can choose from any of the city’s TriMet transit options: a combination of buses, streetcars and light rail. Alternatively, there is always the nearby Zipcar car-sharing lot. To encourage walking and cycling, pedestrian bridges and bike lanes are abundant. 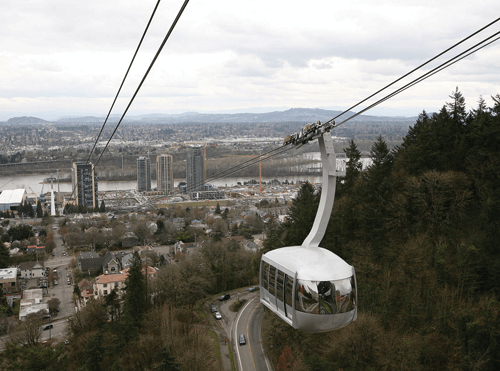 One unique feature: a 3,300-foot aerial tram line that connects a satellite property owned by the Oregon Health and Science University, located in the densely populated South Waterfront district (SWF), to its main campus on Marquam Hill. SWF itself is a 38-acre neighborhood close to the city’s downtown core that has set the ambitious goal of reducing vehicle miles traveled by 30 per cent by 2030. Ten years ago Portland launched the first modern streetcar system in the country. The track spans nearly four miles and serves some 12,000 riders daily. The streetcar system is largely located in the SWF district and connects passengers to the MAX light-rail systems that move travelers in and outside of the downtown center. The city currently has plans to expand the streetcar infrastructure with a new loop system that will include 28 new stops and add six new streetcars. It estimates that the $150-million expansion, when it becomes operational in September, will increase ridership, link more neighborhoods and reduce parking demand, traffic and pollution. In the downtown core, people can ride whatever public transit is available for free – all day, every day. Commuters can literally just take a seat and travel throughout the metropolis without needing to fumble around for tokens, coins or transit passes. This area covers the main downtown area up to the SWF district and across the bridge to the Rose Quarter and Lloyd District. To encourage more cycling, the city is also taking bids from vendors with an eye to launching a bike-share program in early 2013. Like other cities, Portland has found that bike sharing is a simple way to bring inexpensive and environmentally sustainable transit to citizens and tourists. Land-filling rates in the U.S. have increased by more than 60 per cent since 1960 and the majority of landfills that remain open are within five to 10 years of closing unless capacity can be expanded. 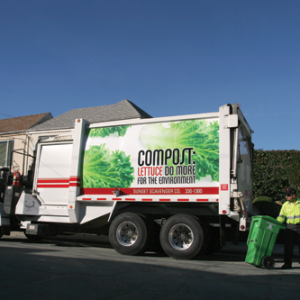 Waste management has never been more important, and on that front, the City of San Francisco has earned top marks for its landfill avoidance efforts. 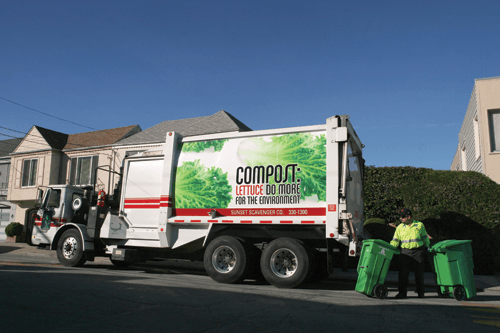 San Francisco was the first of the major U.S. cities to establish a three-stream sorting system (including food waste) for its municipal solid waste. In 2009, it became mandatory by law for every property owner to recycle and compost. The enabling legislation was the first of its kind in the country, and was designed to achieve “maximum separation” with a goal of reaching 100 per cent diversion from landfills and incinerators by 2020. City residents are given three free bins: blue, green and black. Green bins take food waste, soiled paper and plant material; blue bins are used for bottles, cans and most plastics; and black bins are designated for landfill waste. The basic monthly fee for weekly collection based on the standard-size 32-gallon black bin is $27.55. That fee will double or triple if a resident requests a larger black bin option. However, residents who consistently reduce their weekly garbage volume to 20 gallons or less are eligible for a 20-gallon black mini-can at a discounted rate of $21.21. The underlying concept is that the less recycling you do, the more you pay. Those who make the extra effort can request larger green bins and blue bins from Recology, the city’s main trash hauler, at no additional cost. Businesses, meanwhile, have a big incentive to divert. A few years ago Recology, under direction from the city, began offering a commercial recycling discount. Under this program, businesses that are aggressive with their recycling and composting can reduce their waste bills by up to 75 per cent. There’s no sign of slowing down for San Francisco, which has been well ahead of the curve for more than two decades and is consistently moving beyond the actions of its municipal peers across the country.